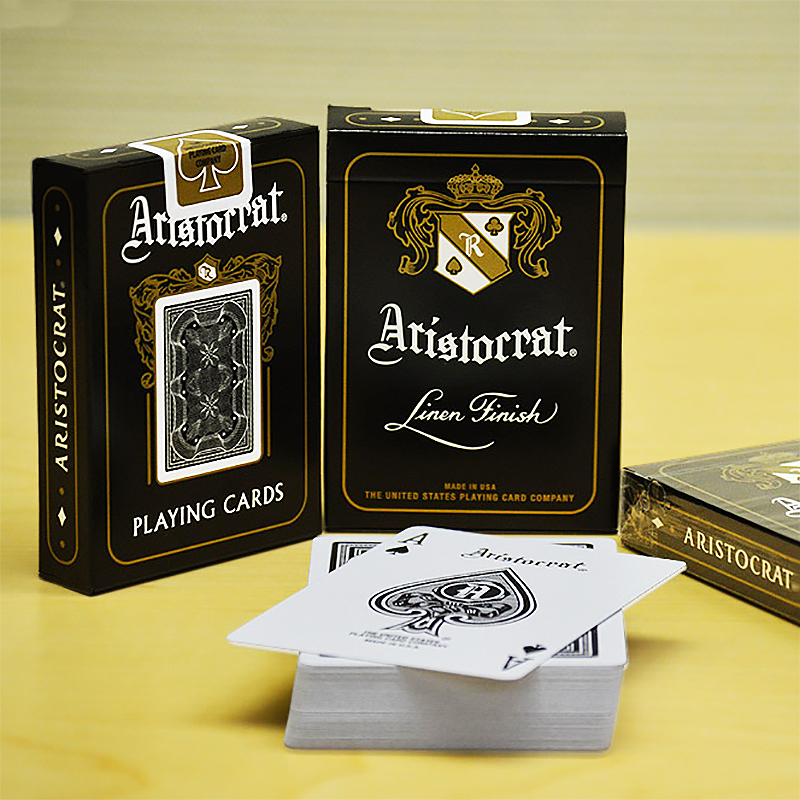 Here are the legendary Aristocrat playing cards, finally in a special edition. The cards have a different tone of black and gold on their backs and faces, keeping however the beautiful original design of the Aristocrat’s! Even the elegant tuck case suggests regality that the deck never fails to manifest. • The cards are poker size.